NEW ORLEANS, United States, May 29 2018 (IPS) - Many factors contribute to the cost of a tomato. For example, what inputs were used (water, soil, fertilizer, pesticides, as well as machinery and/or labor) to grow it? What kind of energy and materials were used to process and package it? Or how much did transportation cost to get it to the shelf? But that price doesn’t always reflect how the plant was grown—overuse and misuse of antibiotics, water pollution from pesticide runoff, or whether or not farm workers harvesting the tomatoes were paid a fair wage. It turns out cheap food often comes with an enormously expensive cost to human and planetary health. Agricultural production, from clearing forests to producing fertilizer to packaging foods, contributes 43 to 57 percent of global greenhouse gas emissions (GHG). And almost 40 percent of all food that is produced is lost or wasted. As that food decomposes in landfills, it releases methane, which is 25-times more potent of a GHG than carbon dioxide—in fact, landfills are the third-largest source of human-related methane emissions in the U.S.
Often, today’s food systems are incentivized to favor low-cost, processed foods. 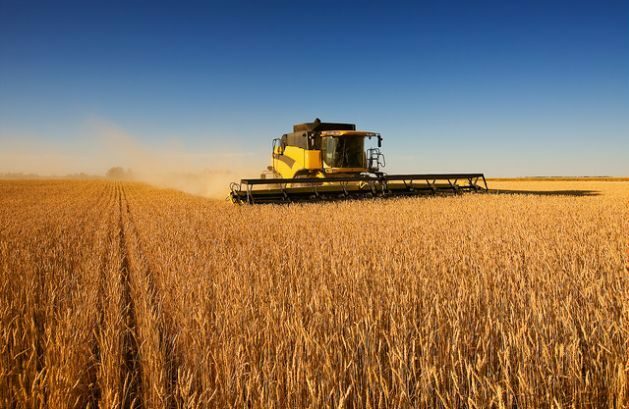 Corporations and large-scale producers are often subsidized to grow select staple crops, which are typically grown in monocultures using practices that strip soils of nutrients. And it’s becoming increasingly clear that poor diets have produced a global public health crisis. Six of the top eleven risk factors driving disease worldwide are diet-related, and the World Health Organization estimates the global direct costs of diabetes to be more than US$827 billion per year. To feed 10 billion people by 2050, we need to start thinking of food production, health care, and climate change as interconnected. As the world’s population grows, so does the need for more resilient food and agricultural systems that address human need while minimizing environmental damage and further biodiversity loss. In a recent report by The Economics of Ecosystems and Biodiversity for Agriculture & Food (TEEBAgriFood), a new framework was developed to look at all the impacts of the value chain, from farm to fork to disposal. The framework hopes to give policymakers, researchers, and citizens more reliable information on the real and unaccounted for costs of our whole food system—not just parts of it. This type of systems thinking supports a shift away from measuring the success of food production by metrics like yield per hectare, which fails to provide a complete picture of the true, often invisible costs of the entire system. Changemakers across the globe are rising to this challenge and bringing sustainable and regenerative practices into the farming of the future. Recognizing that farming is in a period of transition, they are helping build a system that increases food production to meet a growing population while reducing harm on the environment and feeding those in need. It’s now easier than ever to access resources and learn how our everyday decisions impact not just ourselves, but our environment and public health. The Barilla Center for Food & Nutrition developing the Double Pyramid to help people make food choices which are both healthy for people and sustainable for the planet. And recognizing carbon footprints and water footprints allow individuals to better understand how deeply intertwined the food system and climate change are. No one person or organization will be able to fix this food system. Businesses, policymakers, farmers, and, of course, eaters have a responsibility to help protect natural resources, improve social equity, and create a more sustainable food system through more informed decisions and responsible consumption.